Alexa has been with the Fringe team since it's beginning and has developed her skills turning herself into a hair artist to be reckoned with. She has traveled to L.A. to study with I.C.O.N products and continues to stay on top of the industry with Wella, Deva certification, Pulp Riot, Pravana, and Kevin Murphy. Alexa has had years of experience and training working with fashion colors and has honed her skill to become quite the colorist. With her 10 years of experience she is a vital part here at Fringe Salon as her abilities reach from classic and natural to bright, fun and wild. Shelly has learned and continues to learn from some of the largest names in the hair industry today some of these include: Deva Curl, Kevin Murphy, Wella, Redken ,Pureology, Loreal Color and Paul Mitchell. As a hair artist she delivers professional and precise results with her wide skill set while as a person brings an at home feeling to her chair. With her 10 years of experience she is a vital part here at the Fringe Salon as her abilities reach from polished and natural to edgy and electric. Being a licensed stylist since 2001 Beth is well versed in many aspects of the hair industry. Receiving advanced training through the Vidal Sassoon Academy, American Crew and Redken. Also had the unique opportunity to attend an advanced training class by the esteemed Tracey Cunningham. Deva Curl, Kevin.Murphy, Pravana, Wella and Pulp Riot are now in her arsenal of experience furthering her abilities to satisfy each of her clientele's wants and needs. With Beth's many years within the industry she can deliver chic and sophisticated to edgy and fun. Tarah has been in the the hair industry for 5 years. She received her cosmetology training from Jean Madeline Aveda Institute and has a Bachelors of Arts degree in Theatre from Penn State University. Since working with Fringe, Tarah has become Deva Curl certified and looking forward to continuing her Deva education to advance levels. Creating hair art has become a passion of hers whether it be bright fashion colors, an edgy clipper design, or a formal updo. 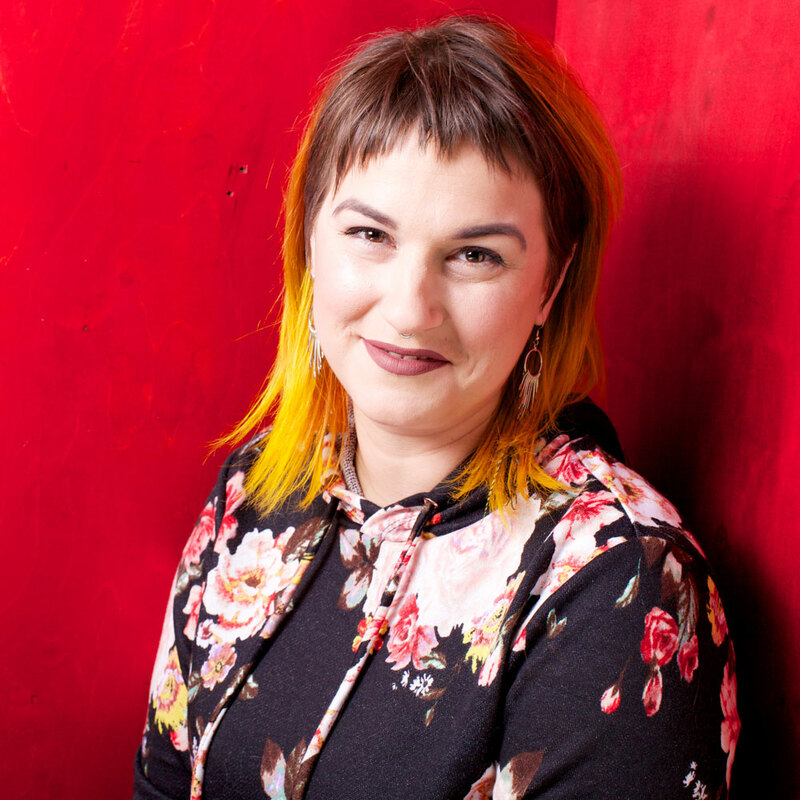 With a background in the arts and music, Tarah loves working in a creative space like Fringe where she can continue to grow as an artist and stylist. Emmery Purfield is Fringe Salon’s ray of sunshine (and rainbows) assistant/future stylist. Emmery is the friendly backbone at Fringe and will give you the best head massage of your life at the shampoo bowl! We are so happy to have Emmery on board with us and look forward to her blossoming into an amazing stylist! Uli the cat strolled into our salon and into our hearts in the fall of 2006 and has claimed it as her home ever since. Uli (pronounced "Ooo-Lee") is the ultimate shop cat. She works just as hard as the stylists do to make sure that our clients get all attention they need. Especially if they have treats!.